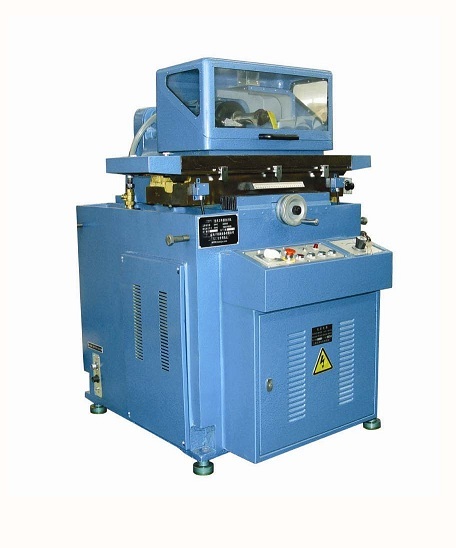 For cylindrical grinding magnetic,optical glass,ceramic,crystal,silicon bar and other brittle materials. 1.Based on the use of precision casting mold and two times to removal stress. The guide rails are high precision and stability. 2.NC (numerical control) program control (two coordinates): The stepper motor drives ball screws to make worktable right/left moving and grinding wheel spindle' stock back and forth moving. It can realize micro feed. 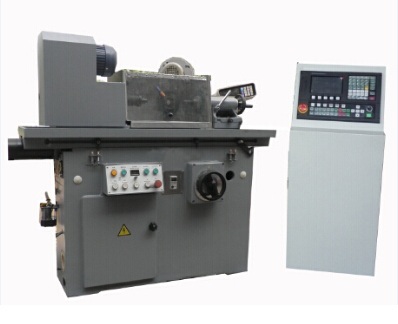 The moving positions and speeds of worktable and grinding wheel spindle' stock are visualized. It is high precision and convenient. 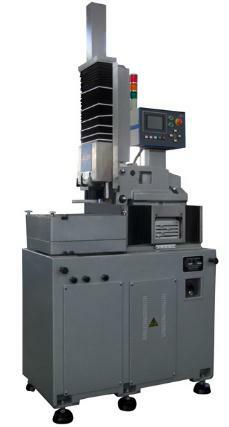 3.The speeds of workpiece spindle is frequency conversion controlled. The adjustments are direct and convenient. 4. 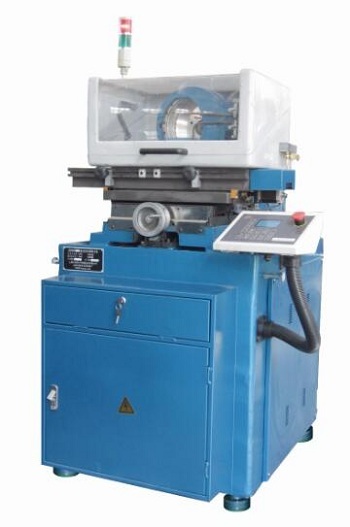 The turning angle processing way of grinding wheel is high efficiency and good stability. 5. Positioning tailstock is lengthened and widened. The support area between bed and tailstock is enlarged. 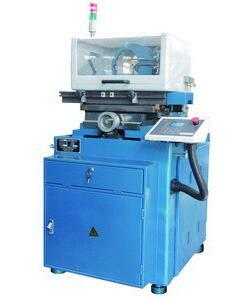 Since the tailstock is without front and back moving, it ensures the tailstock to move any position. After locking the tailstock, the locking precision does not change at the same time.